Greetings from the IPSI Secretariat in Yokohama, Japan. This month, we are pleased to announce that three new members have been welcomed to the IPSI partnership. Please see below for brief descriptions of our newest partners. In other news, IPSI Secretariat members have taken part in a number of activities recently related to socio-ecological production landscapes and seascapes (SEPLS). Please scroll down for more information about our recent activities in Jeju, Korea and the first Working-level Liaison Meeting of the Japanese national network for the Satoyama Initiative. We would also like to take a special moment this time to express our deepest gratitude to Ms. Fumiko Fukuoka, who has been serving as a member of the IPSI Steering Committee as a representative of the United Nations Development Programme (UNDP). We recently received the news that she has been appointed to serve as the Partnership Development Advisor at the UNDP Regional Bureau for Arab States. Ms. Fukuoka has been a great resource and a key player in the development of IPSI since our very beginnings. While we will certainly miss her and her valuable contributions, we wish her all the best in her new position. We are also very pleased to welcome her successor from UNDP on the IPSI Steering Committee, Ms. Diana Salvemini. IPSI continues to be active in a variety areas as it becomes more dynamic and diverse and continues to work toward societies in harmony with nature. As always, we thank you for subscribing, and for your continued support of IPSI. The Foundation for Research and Social Development (FIDES), which works in Ecuador in a variety of projects contributing to human development, gender participation, public policy, and others. The new members, in addition to being involved in valuable projects in their own right, also help to increase IPSI’s presence in the Latin American region which is encouraging as it is an under-represented area. We look forward to collaborating closely with all of them in promoting the concept of the Satoyama Initiative in the future. 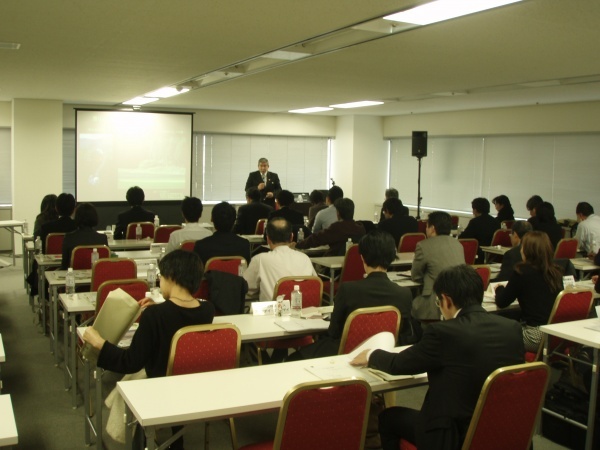 The first Working-level Liaison Meeting for the Japanese Network for Promoting the Satoyama Initiative was held in Tokyo on 26 February 2014. IPSI hopes to see national networks established in other countries too for the promottion of SEPLS-related activities and awareness at the national level. The formation of the Japanese network, the first such network, represents an important first step in this process. The meeting was attended by approximately 50 people from over 30 organizations. The afternoon proceeded with a seminar consisting of a keynote presentation by Prof. Shiro Wakui (Deputy Chair, Japan Committee for the UN Decade on Biodiversity 2011-2020) and information sharing by Mr. Kenji Shimada from the Ministry of the Environment, Japan, followed by updates from theNetwork Secretariat and self-introduction and reports from attending organizations. The meeting concluded with an informal reception with coffee and sweets produced by member organizations and delicacies from various regions around the country. The meeting was a fruitful experience for the members as we updated each other on our activities and shared the challenges and visions of the network. The IPSI Secretariat will gladly offer consultations for any members who are interested in forming a national network for promoting the Satoyama Initiative in their own countries. We hope that the experiences of the Japanese network can serve as an important resource towards discovering best practices for establishing such networks. A workshop aiming to explore the possibility of establishing a “wetland city accreditation” programme under the Ramsar Convention on Wetlands and to develop guidelines under which such a programme would operate as a new implementation programme of the Ramsar Convention was held at Jeju Grand Hotel in Jeju Island, Republic of Korea from 24 to 25 February 2014, hosted by the Ministry of Environment, Republic of Korea and the Ramsar Convention. IPSI Secretariat staff was invited to the workshop in order to introduce the concept of the Satoyama Initiative and SEPLS into the dialogue. Mr. Yohsuke Amano of the IPSI Secretariat gave a presentation on IPSI, including information on IPSI case studies and a list of IPSI Collaborative Activities, which received a great deal of interest from several of the other attendees at the workshop. The workshop provided an excellent opportunity to raise awareness of IPSI and its activities among a new audience. We look forward to further collaboration with this programme in the future, and appreciate the work of the government of the Republic of Korea especially in leading up to CBD COP12 to be held in Pyeongchang in October. the AEON Environmental Foundation and the Secretariat of the Convention on Biological Diversity (CBD). The Prize honours individuals who have made outstanding contributions to the conservation and sustainable use of biodiversity. Nominations are currently being accepted. Further information is provided in a brochure available on the CBD website.